It feels a little ridiculous to post this right now considering it’s been snowing all morning. But, on Easter and the day before Easter, it was sunny and beautiful. I wanted a brunch cocktail and thought a sangria would be nice. 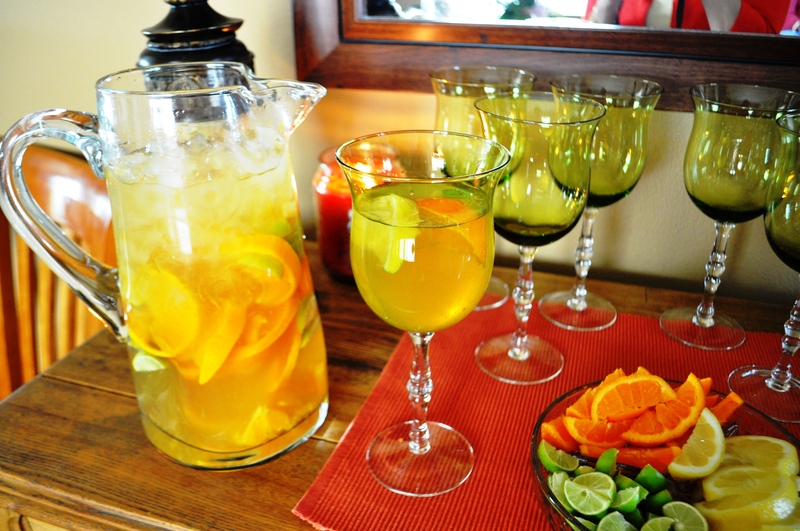 The Mandarin oranges and Key limes are a perfect marriage of tangy and sweet. This would be a a great drink to make in a big batch before a camping trip as well. 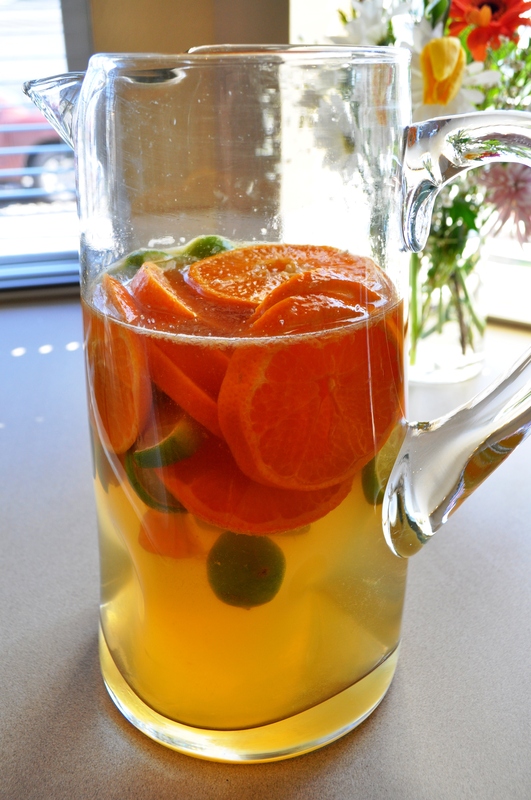 It can sit in a fridge or cooler for a couple of days and would be amazingly refreshing on a hot, summer day. A portion of this recipe needs to be made in advance, the night before you’re going to actually drink it, or a couple of days before if you’re going to take it camping with you. Lemon wedges, more Key limes, and 2 more Mandarin oranges for glasses. Pour wine and rum into a tall glass pitcher. Add sugar and stir. 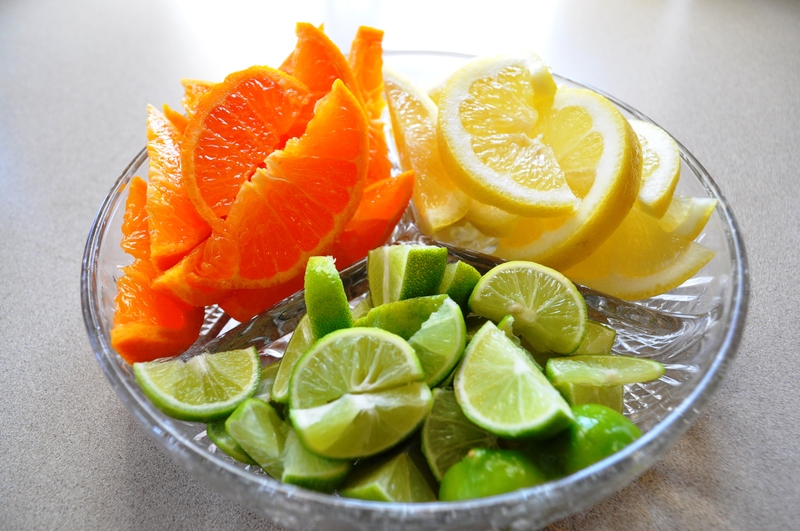 Slice wash, dry, and slice the 2 oranges and the 8 Key limes. Place the sliced fruit in the wine and rum mixture and stir. Cover with plastic and refrigerate over night. Slice up fruit to put in glasses, cover and refrigerate. This can also be done the night before. Right before serving, stir the mixture, add ice, smashing down the fruit a little. Place a couple of pieces of the fruit into glass tumblers or wine glasses and add a splash of club soda and Framboise.